For most people flu isn’t pleasant but one that they fully recover from quite easily. However, there is a much greater risk that flu will lead to serious complications in others depending upon circumstance. We encourage pregnant women, whatever their stage of pregnancy, the over 65s and anyone with any chronic conditions such as asthma, diabetes and chronic heart disease to get the vaccine as soon as possible. For individuals in these at risk groups who still haven’t had their vaccine it is vital to take this seriously and act now. The flu vaccination is safe and cannot give people the flu as it does not contain live viruses but it can take up to three weeks to work so don’t delay. We have seen an increase in the flu vaccine uptake last year and hope this trend continues to protect the community from flu. Thanks for the support and response we get from our community. Children aged between 2 and 9 years of age are also eligible. Children aged 2 and 3 will be given the vaccination at their general practice, usually by the practice nurse whilst children in reception class and school years 1, 2, 3, 4 and 5 will be offered their vaccination in school. Children up to the age of 17 with a long-term health condition such as diabetes are also eligible for the vaccination. 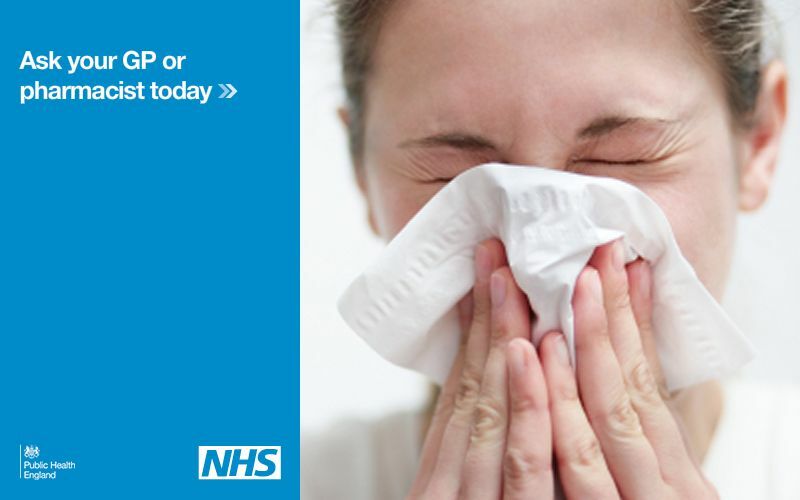 Contact your GP surgery to book a flu vaccine or go online to find your local pharmacy.